Boardwalk visitors and beachgoers will have an opportunity to begin their outing in a patriotic way in Seaside Heights this summer. Beginning Thursday, a salute to the American flag will be read over the boardwalk’s loudspeakers just before 9 a.m., when lifeguards are about to go on duty. The Pledge of Allegiance will be read, and visitors can look to one of the hundreds of flags up and down the boardwalk, officials said. The daily salute comes a year after the borough began playing the Star-Spangled Banner once per day, but ultimately had to stop the practice because of audio system problems. Mayor Anthony Vaz said visitors and residents have asked him for a new way to honor their country. 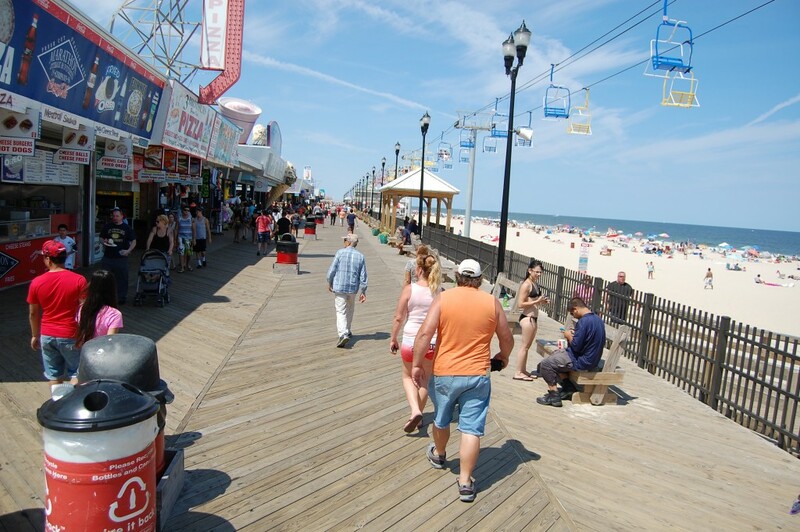 Seaside Heights has two public address systems on its boardwalk: one which carries voice and one capable of playing music. But the music system is obsolete and causes issues with the other system, and a new system would cost taxpayers over $140,000, Vaz said. With the town still suffering from a loss of ratables since Superstorm Sandy and requiring additional state aid to support its budget, officials shied away from a big-ticket PA system purchase. Vaz said the daily salute will continue all summer long, and officials are hoping to involve groups like the Boy Scouts and Girl Scouts in the activity, with children leading the pledge as the season goes on.